Bhawanipatna: Prime Minister Narendra Modi on Tuesday alleged that BJD and Congress have conspired to keep the poor of the country poor for vote bank. He said the Congress remembers poor only before elections. 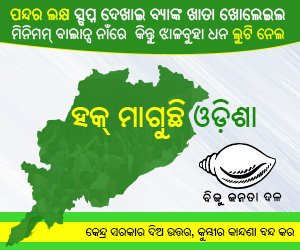 “Congress and BJD like parties hatch conspiracy to ensure poor remain poor. They cannot erase the blemish of conspiracy against poor from their foreheads. They have treated poor as vote bank,” he said. He said due to betrayal, people like Dana Majhi could not get ambulance and many people were forced to migrate from the region to other states for work. Modi alleged that the BJD government, during its 19 years of rule, has only given patronage to fraudsters, chit fund and mining Mafias. 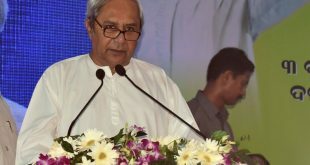 “The State’s natural resources which could have been utilized to enrich the lives of poor people here have been given to chit fund and mining Mafias,” he added. “Do you need a chit fund mafia or a Chowkidar? Do you need a mining mafia or a Chowkidar?” Modi asked the people. 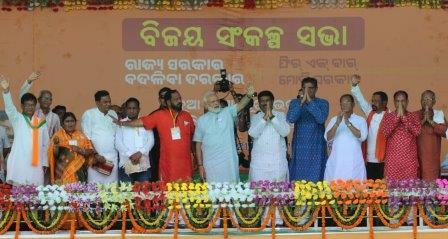 Modi said Odisha is going to repeate the history created by Uttar Pradesh in 2017 and Tripura in 2018. 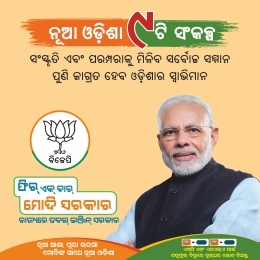 He informed that 8 lakh people in Odisha got pucca houses in 5 years of BJP government at Centre while 24 lakh houses got free electricity connections and 3000 villages got electricity for the 1st time after Independence. 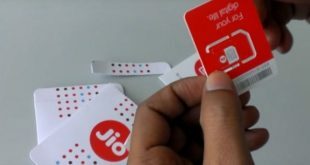 40 lakh poor households got free gas connections under Ujjala scheme while 50 lakh toilets were built in Odisha, said the Prime Minister.